Post hoop earrings measure approximately 7/8" long and 1/4" at widest point. We bring to you this adorable pair of earrings! This piece of Native American jewelry is Navajo overlay hand crafted by artist Thomas (Tommy) and Rosita Singer, out of genuine sterling silver. Overlay is a process that utilizes at least two layers of sterling silver or 12KGF. One layer forms the foundation, while the second layer is used to design the individual detailed overlay. 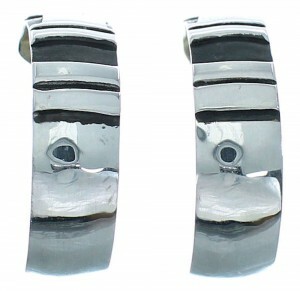 In these earrings, the second layer forms magnificent sterling silver border patterns for an excellent finish. The earrings are stamped sterling and hallmarked by artist. World famous artist Tommy (Thomas) Singer is one of the best Native American Indian silversmiths around. 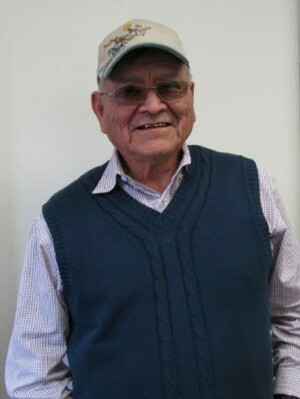 His name and his work are easily recognized and associated with Navajo Jewelry. Tommy Singer has been mentioned in many books, magazines, and news articles throughout his life. He was born in 1938 in Winslow, Arizona. Tommy belongs to the Tall House Clan of the Navajo Tribe. 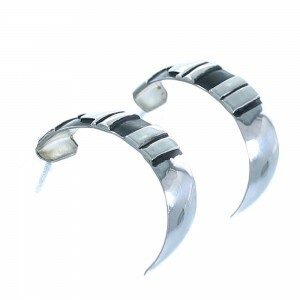 Tommy was taught by his father and started working with jewelry in the early 1960's.